Butcher shop concept: chef with meat steak and knife. 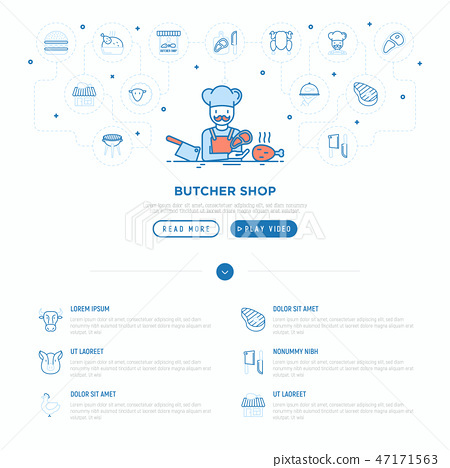 Thin line icons: beef, pork, mutton, BBQ, chicken, burger, cutting board. Modern vector illustration, web page template.